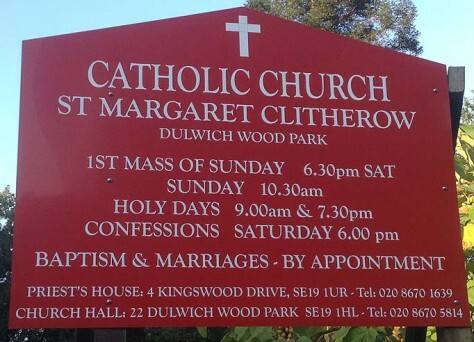 The present church of St Margaret Clitherow was consecrated in 1974, the first Mass being offered at Christmas of that year. Prior to the building of the church there was a mission founded in 1952. 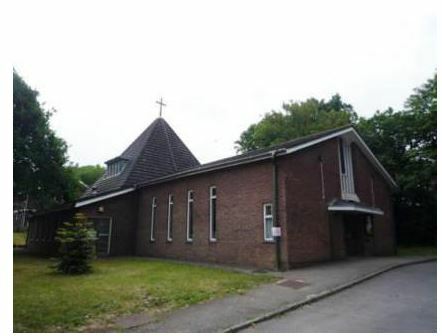 Mass was offered in a number of locations in the South Dulwich area from 1950, served from West Norwood, while funds were raised for a permanent site and building. The current site was acquired from the Estates Governors of Alleyn’s College of God’s Gift, Dulwich, and work started with the building of the church hall, which opened in 1961 and doubled as a hall and temporary church. The presbytery followed in 1966. The architect for both was D. Plaskett Marshall of Gordon Square, London (plans in Diocesan archives). Marshall also prepared a design for the church, with a tall square tower of Scandinavian character, but this was not realised. 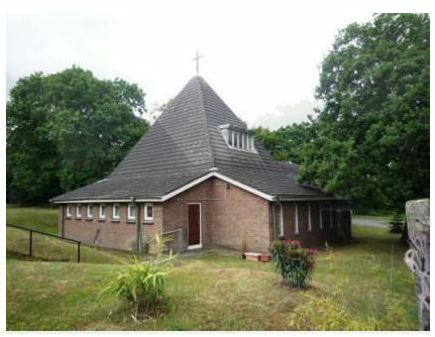 Work did not start on the church until 1973, when the architect was Anthony Stalley of Broadbent, Hastings Reid & Todd. The foundation stone was laid by the Archbishop on 21 October of that year, and the first Mass was offered at Christmas 1974. The church was designed to seat about 300 (including the gallery), and cost £65,000. 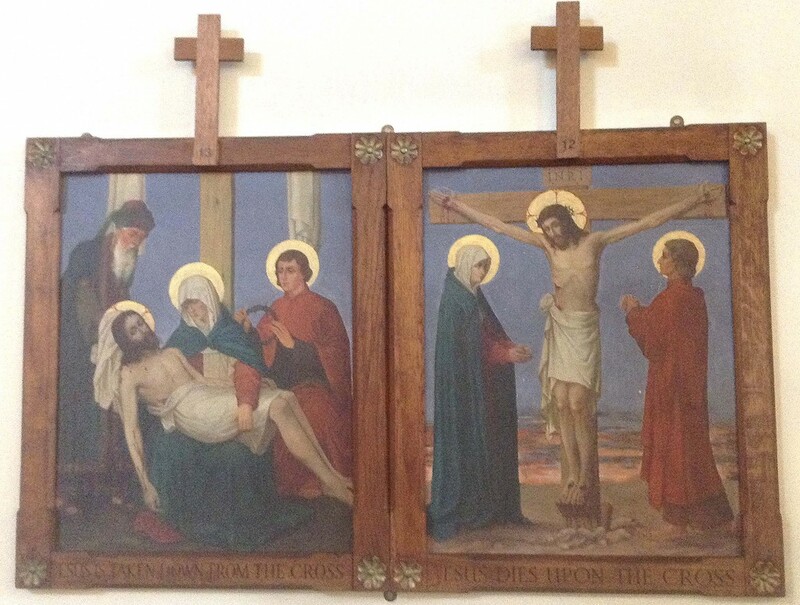 The painted Stations of the Cross were donated by Canon John Devane of St Matthew’s, West Norwood. The Knights of St Columba donated a Crucifix to hang over the altar. 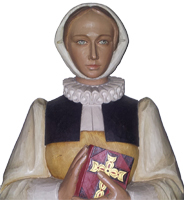 The stone altar cost £1200 and was given by Mrs Murray, a parishioner, in memory of her mother, Helen Bramley. The seating came from a redundant church in Salford. In 1995 a pipe organ was brought to the church from a United Reformed church in Upper Norwood. 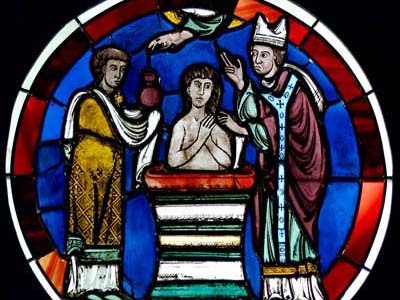 In 2000 a stained glass window depicting St Margaret Clitherow by John Lawson of Goddard and Gibbs was installed in the window over the main entrance. This was blessed and the church consecrated by the Archbishop on 20 October 2000. The church is T-shaped on plan, consisting of a nave and chancel, with two side transepts, and with the sacristy accommodation to the rear of the sanctuary. The structure consists of box section portal frames on mass concrete bases with ground beams supporting the non-loadbearing walls, which are faced in dark russet brick. The roof is covered with dark grey interlocking concrete tiles and is raised in pyramidal form over the sanctuary area, with lean-to transept and sacristy roofs around it. The church is entered via an open porch at the west end with a tall window above, its canted top rising to join the underside of the overhanging eaves. The front doors lead into a narthex with gallery over. Within the main worship space the walls are plastered and painted white and the ceilings finished in fissured acoustic tiles. The floor of the sanctuary is finished in wood mosaic and the remaining floors in vinylised mastic tiles. The chief furnishings are the Stations of the Cross, Belgian and dating probably from the third quarter of the 19th century, and the stained glass window depicting St Margaret Clitherow, by John Lawson of Goddard and Gibbs, over the main entrance.